Shop to your heart’s content at any H&M outlet, get a discount and do your bit for society too! How you ask? Keep reading. Give away your old clothes to H&M and get 15% discount on any one item from your purchase – a top or a pair of denims or any accessories. Remember, the discount is levied on any one selected item from their fresh stock, and NOT on your total purchase. What else do you need to know? You can donate medium-sized bag full of old clothes of any brand or any material, bed sheets, bed covers, blankets and more. With every bag you donate, you get a 15% discount voucher. 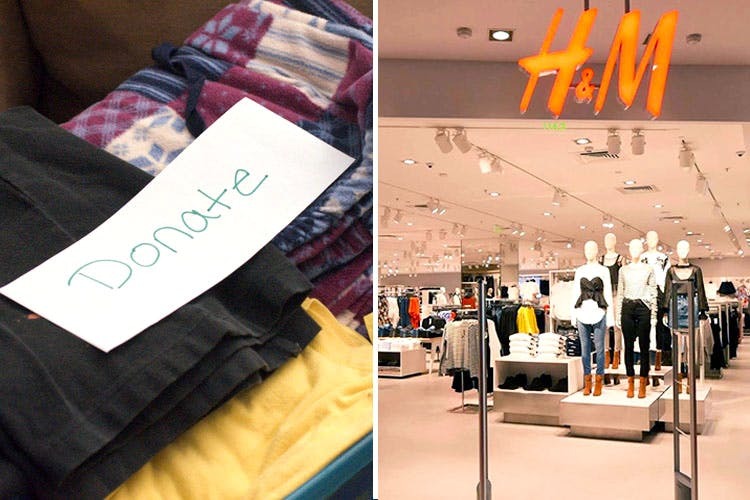 H&M gives these donations to help recycle fabrics that in return, reduce the waste generated by fashion industry. Consequently, this also goes for charities all over the country. The offer is valid on all H&M outlets. So it’s time to give away those denims that don’t fit you anymore.